Our I.P.C. topic this term is 'A.D. 900'. In this topic, we will be looking at South America. We will look at the physical and human geography of the continent and carrying our lots of work on the area. 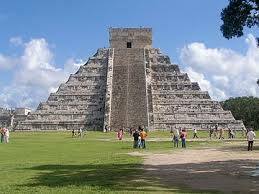 Our history will be based on the Maya. These were a civilization who lived in Central America. We will look at their lifestyles, why they are important and concluding why they declined.